Unique System FZE, a Unique Maritime Group company, which is one of the world’s leading integrated turnkey subsea and offshore solution providers, along with The Geodesy and Hydrographic Survey Section of Dubai Municipality (DM) have successfully launched a mobile application that will enable users to know about an approaching sandstorm 48 hours in advance. The launch is in succession to the unveiling of UAE’s first Sandstorm Forecasting System at Gitex last year. The Geodesy and Hydrographic Survey Section of Dubai Municipality has several components comprising of various sub-systems that provide real time monitoring, alerts, warnings and timely dissemination of information to concerned departments. Dubai has become the first emirate to use the Sandstorm Forecasting System which gathers information from its Automatic Weather Stations (AWS) as well as the World Meteorological Organization. Through the AWS, the information goes to an Etisalat tower from where it gets relayed to the servers at DM. 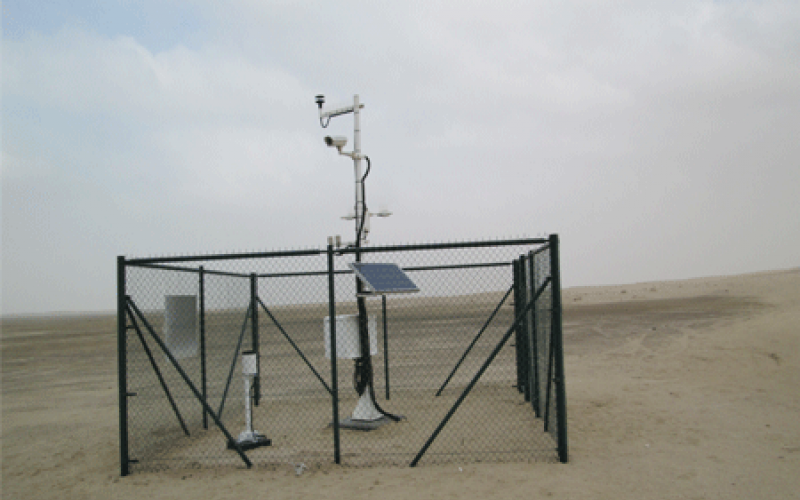 The project which was handled by Unique System FZE has established the sandstorm prediction and weather forecasting model for Dubai using the upgraded five tide and meteorological stations and eight terrestrial meteorological stations and the two offshore data buoys. During the upgrade, new rain gauges were also installed so as to complete all stations with rain measurement. Tide staffs at all stations were also upgraded. The data from each station was transmitted to a central server (UDCS Server) at DM’s Survey Department. The data was used by the CLDB and Model servers to create the respective forecast models. The data was analyzed by a professional Meteorologist on a day-to-day basis to create daily forecasts for the sandstorm and visibility and the same is available for users in the newly released user-friendly mobile application. The mobile app which can be downloaded on all latest versions of Android platform aims at helping residents pre-plan their outdoor activities; protect allergy and asthma sufferers from potential health risks and also warn motorists about the visibility conditions on roads. The app can also assist government entities such as Dubai Police, Coast Guards and RTA to utilise the information it provides to plan safety strategies well in advance. The new app is an extension of a system which was launched three years ago. It has several components that provide real time monitoring, alerts, warnings and dissemination of information to concerned departments. Eng. Mohammed Mahmoud Mashroom, Director of Survey Department @ Dubai Municipality further added, “After the successful launch of an unprecedented sandstorm forecasting system, we are pleased with the launch of a one-of-its-kind mobile application that gives accurate information on imminent sandstorms to most Android users. This will also save registered users the task of visiting our website each time they wish to be alerted about a sandstorm forecast.